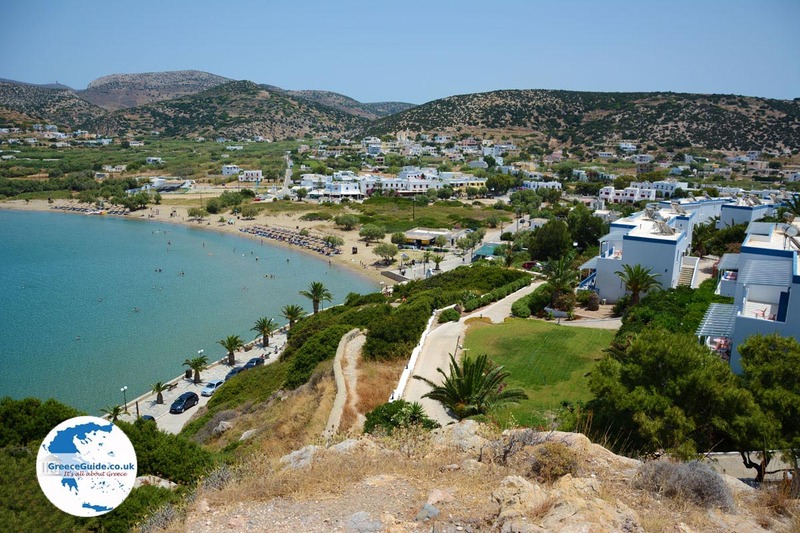 Galissas. 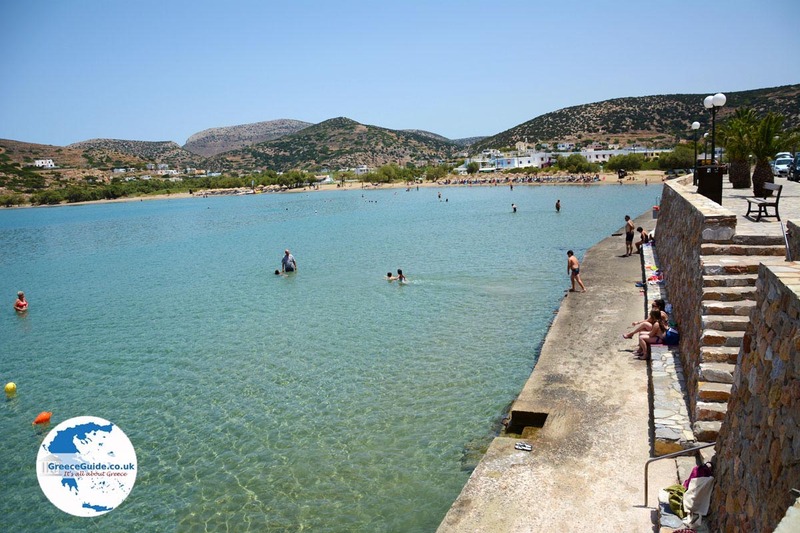 Galissas is one of the most popular beaches on the Greek island of Syros. 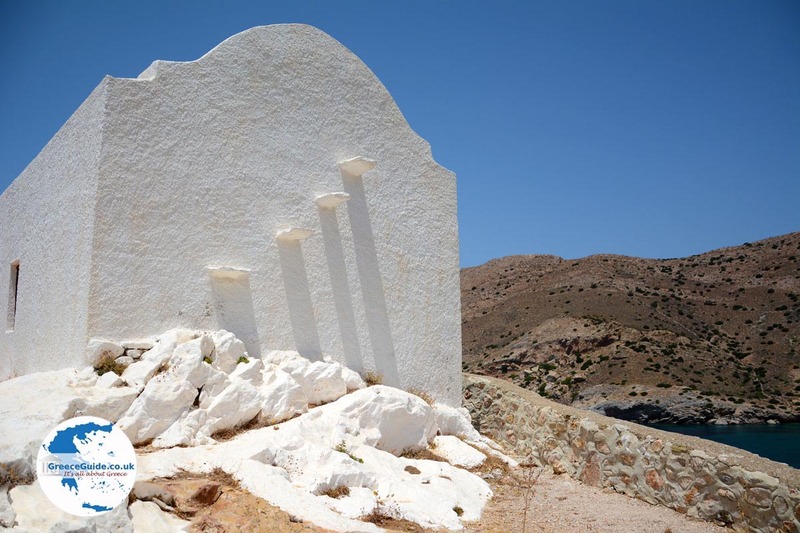 It was the first area on Syros to be developed as a touristic area. 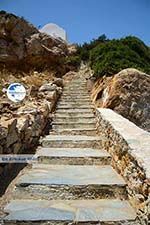 Because of its development, Galissas is a holiday resort that you would expect to find on Crete, Kos or Rhodes, the more touristy islands. 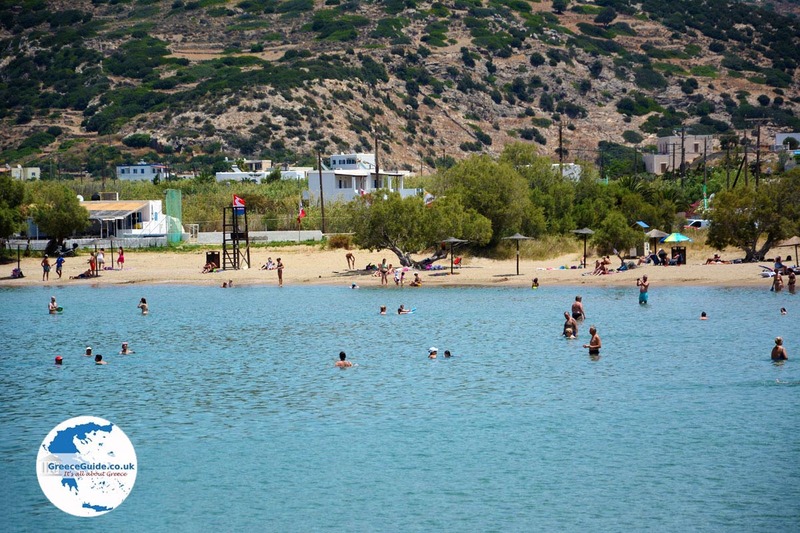 Galissas is very popular, and located only eight kilometers (5 mi) from Ermoupolis. 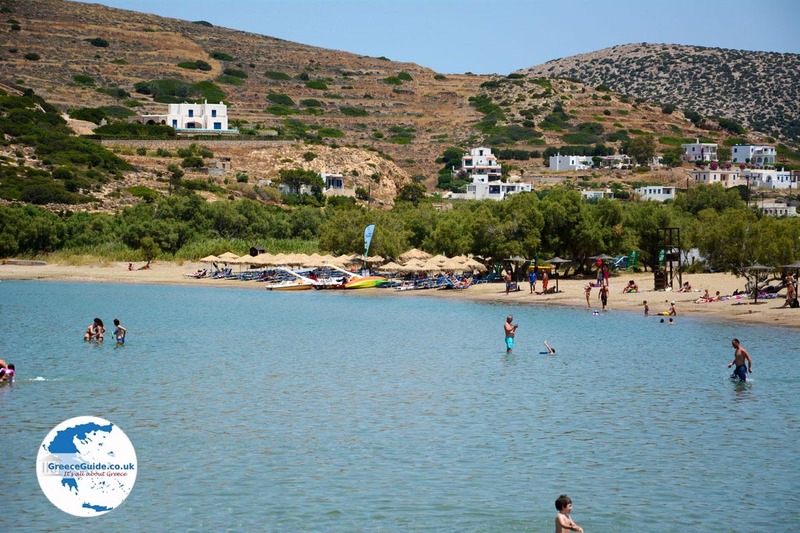 It is located on the western coast of the island, in the same bay as Ermoupolis. 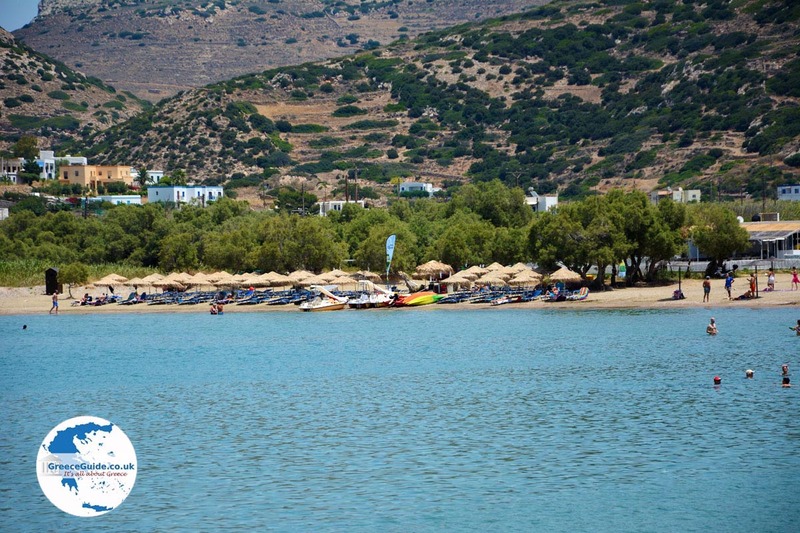 At the beach of Galissas, all kinds of water sports available, such as water skiing and canoeing. Tourist accommodations include many hotels and apartments. In the village are plenty of shops, restaurants and cafeterias. 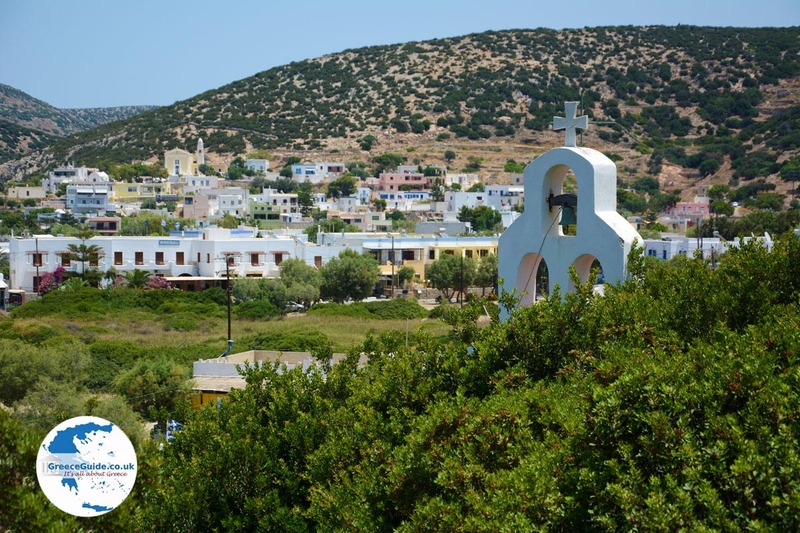 Left of Galissas is the Pakous hill, where the chapel of Agia Pakous stands. 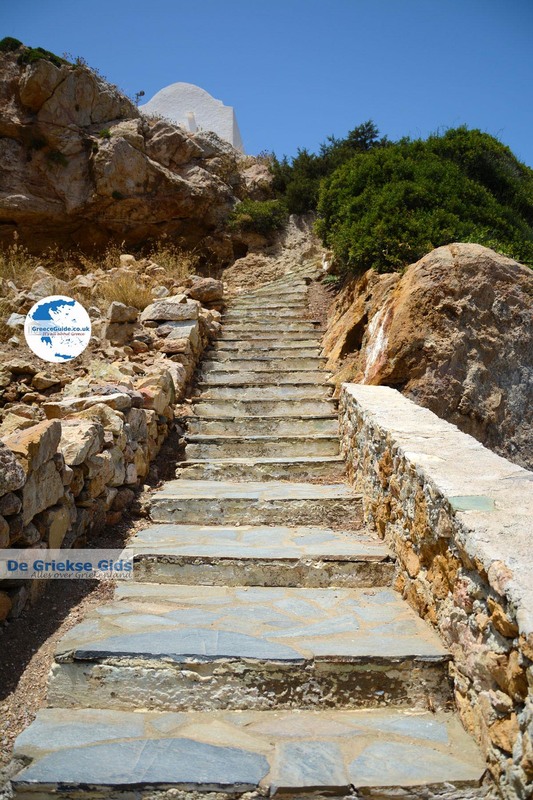 From this church you have an excellent view over the bay and the beaches of Galissas and Armeos. 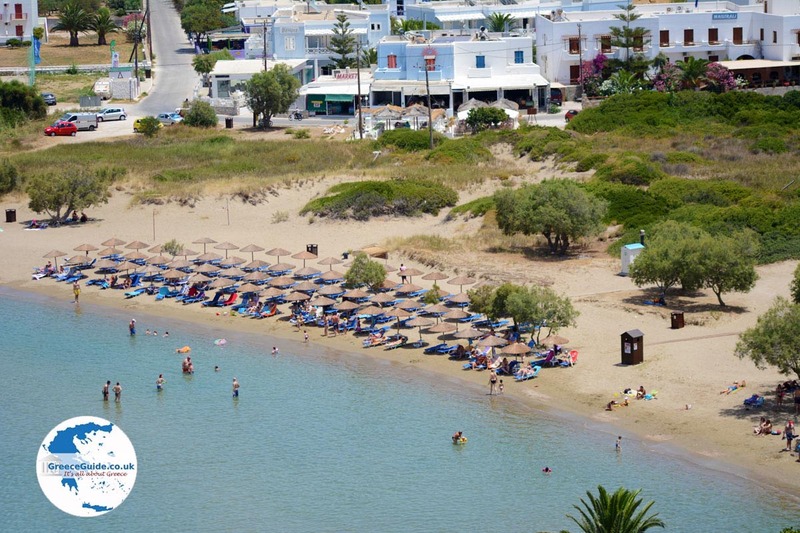 Beach Armeos, on the left of Pakous and Galissas, is very popular with nudists. On this side you can see the archaeological remains of Galissas. In ancient times a small fort was located here. Unfortunately, very little remains of the fort. Near the village is the campsite Dyo Kardies (two hearts). 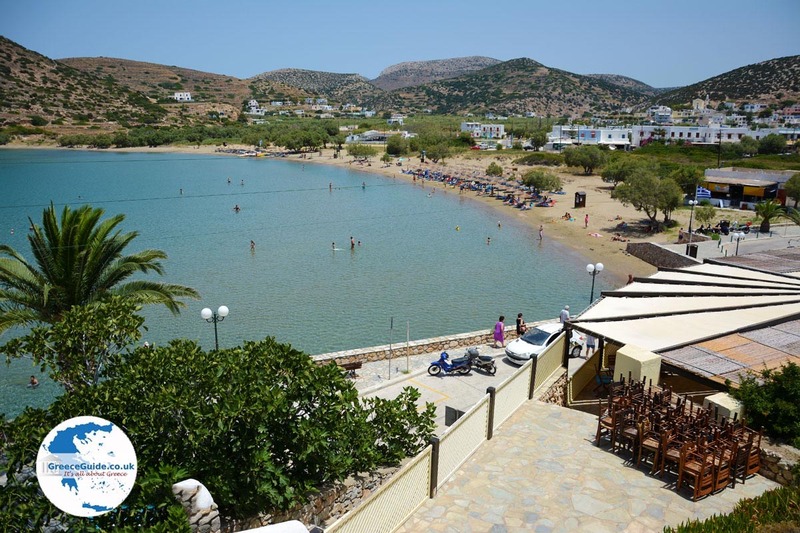 The campsite is equipped with all kinds of facilities and also offers bungalows. On Sunday during the last week of August, a traditional festival is held to honor Saint Stephanos. 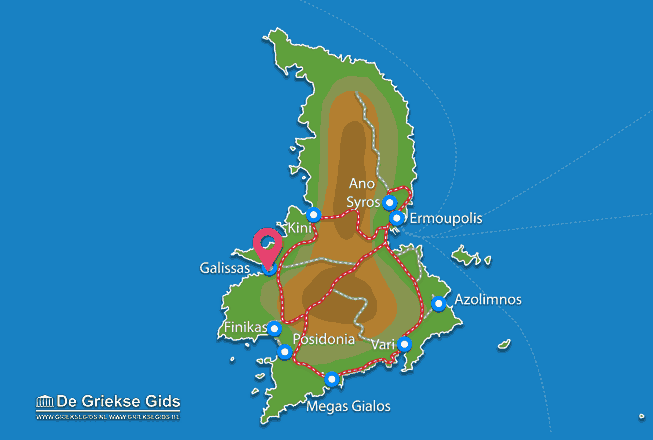 Syros: Where on the map is Galissas located?